A few weeks’ ago I was invited to the most beautiful dinner at a super chic, inner city location that was held on what truly felt like the beginning of summer. The sun shone and the Perrier-Jouët flowed, and the cause for celebration was the release of a new moisturiser by French brand Avène that is destined to be a true go-to as the days heat up. 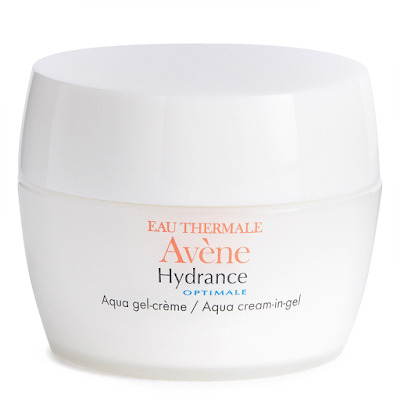 Called Hydrance Optimale Aqua cream-in-gel, it is a new addition to the Hydrance Optimale collection that absolutely nails hydrating multi-benefit care for the skin. Its exclusive, melty and aqua-gel texture texture hydrates like a cream, but feels super light and refreshing like a gel, and its multitude of benefits includes protection for the skin against the daily environmental aggressions that come with city life. At the new moisturiser’s heart is the famous Avène Thermal Spring Water, and you’ll also find ingredients like squalene, Vitamin E, pumpkin seed, and avocado oil. Meiboserine and Lipomucine – two ingredients that have been patented by the legendary brand – help with distribution of the famous water and to ensure its goodness doesn’t escape. Tested on the most sensitive skin, the formula was reportedly specially formulated in Japan for Asian sensitive skin, but its ability to fight environmental aggressors coupled with a unique texture adapted to humid weather makes it absolutely perfect for the New Zealand summer. I love that it absorbs almost instantly, making it a brilliant base for makeup as well as sleeping on hot, steamy nights. For an added moisture boost or to use it at any time of year, layer this new beauty over Avène’s Hydrance Optimale Hydrating Serum. Maximum moisture and plumped up, perfect skin!